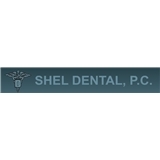 SHEL DENTAL (Norwalk) - Book Appointment Online! In our state of the art and modern office we try to establish a high level of service and comfort for all our patients, especially with fear. We always present you with the best that dentistry has to offer in a relaxed, private, non-threatening environment. We promise to do everything we can to make your visits as comfortable as possible. These days it is very important to get quality and gentle dentistry at the prices your family can afford.